Cowen surveyed major US ad buyers, and found that for new branding campaigns, the buyers would overwhelmingly pick the Facebook-owned Instagram as their first choice. The data illustrates the continued strength of Facebook's core advertising businesses even as the company is buffeted by scandals. The medium, once considered all-important, has now been almost completely superseded by Instagram as the key way for advertisers to reach young people, according to new study by financial service firm Cowen. The findings underscore the extent to which media consumption habits have changed due to the internet — and serve as a reminder that for all the scandals sand controversies surrounding Facebook, which owns Instagram, its core advertising business remains wildly profitable and successful. Cowen surveyed 50 US ad buyers, who together represent around $14 billion in ad spend. 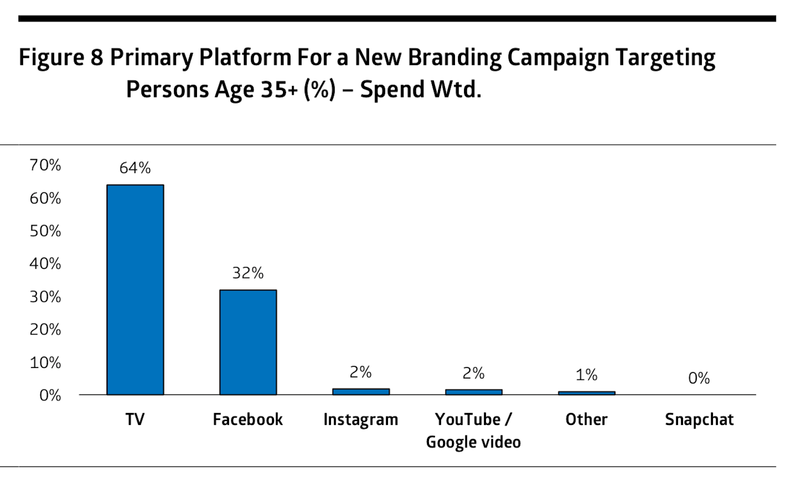 They were asked "to identify the primary platform they would use for a new branding campaign" for two different age groups: 13 to 34, and 35-plus. The differences were stark. 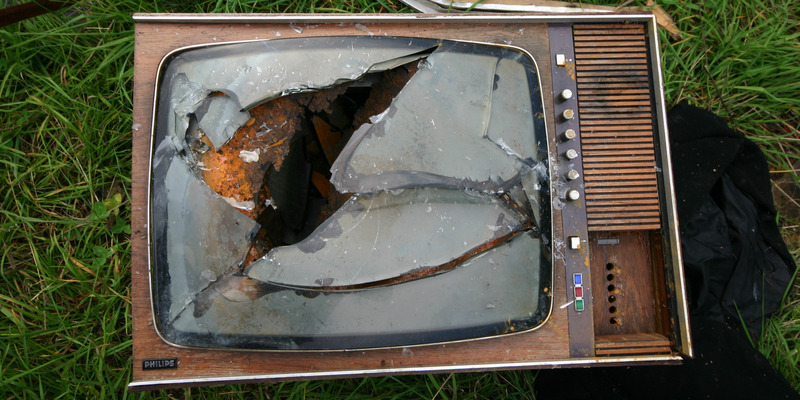 For the 35+ target market, television dominated, with 64% of respondents (on a spend-weighted basis) saying they "would start a new branding campaign on TV." Next was Facebook, with 32%, then Instagram (2%), YouTube/Google Video (2%), and other (1%). Snapchat, notably, got 0%. 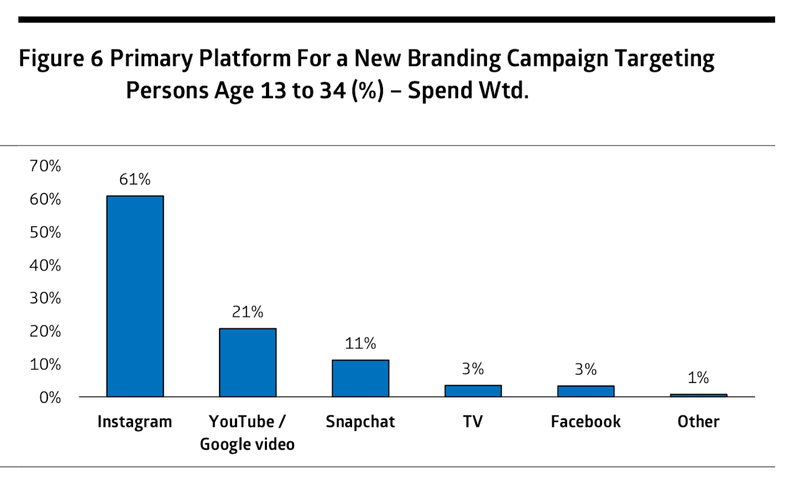 But for branding campaigns targeting the younger 13-34 demographic, it was all about Instagram. 61% of respondents (on a spend-weighted basis) picked the Facebook-owned photo-sharing app, followed by 21% for YouTube/Google Video, and 11% for Snapchat. TV comes in fourth place, with just 3% — incidentally, the same amount as the core Facebook service itself. "Other" squeaked in at 1%. The data demonstrates just how crucial Instagram now is to the Facebook mothership as the company attempts to reach young people, and that television, while still supreme for older people, has now completely lost its luster for the younger generation. It also further underscores the wisdom of Facebook's decision to buy Instagram, for $1 billion back in 2012 — analysts estimate that Instagram alone would be valued at $100 billion as a standalone company. The app is now helping the Silicon Valley tech giant remain strong even as opinions on its core app sour following years of scandals. 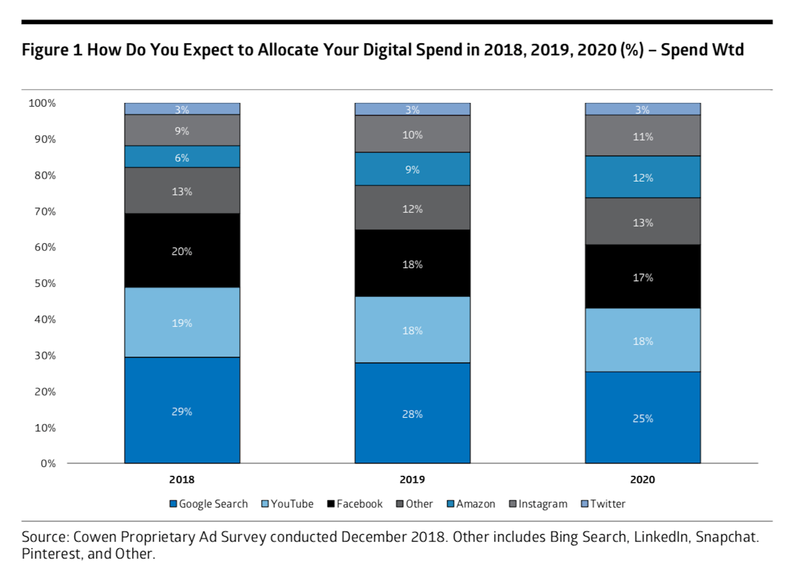 Ad buyers surveyed by Cowen said that they expected the Facebook empire of apps to show a roughly steady share of digital ad budgets over the next few years. Facebook itself will likely drop, but this will be offset by Instagram's continued growth, Cowen projects. Do you work at Instagram? Got a tip? Contact this reporter via Signal or WhatsApp at +1 (650) 636-6268 using a non-work phone, email at [email protected], Telegram or WeChat at robaeprice, or Twitter DM at @robaeprice. (PR pitches by email only, please.) You can also contact Business Insider securely via SecureDrop.